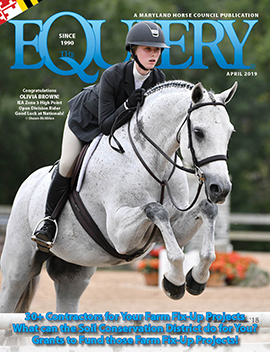 The article “The Evolution of Equitation” (June 2008) came at a very appropriate time for me. I recently finished my first year at Oberlin College in northern Ohio. Though I hadn’t shown in several years, I became active on the equestrian team and competed in every IHSA show offered. When I came home, I decided to look for some local shows (I had done SMHA in the past) to compete in with my Quarter Horse. I was looking for something along the lines of equitation flat classes, for which and in which I had just spent the previous year training and competing. Since I am 19, it was my first year showing as an adult. 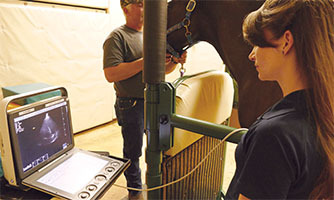 I was amazed that I couldn’t find ANY divisions that had basic equitation classes for adults. Either they were novice (which I didn’t qualify for since I had shown when I was a young teenager), youth, walk/trot only, or consisted mostly of jumping. Furthermore, when I decided to settle and do hunter classes instead of equitation, I discovered it would cost me more than $100, plus the cost of gas, to just compete in four classes at a local show. When did showing get so expensive? I think I paid about $25 for a day of showing just several years ago. At school, classes are $25 each but there are no administrative costs, we only do two-four classes per show, and fees are mostly or completely subsidized by the school. I’m glad I’m not the only one who has noticed the lack of equitation classes, but are the high fees a recent phenomenon too? PreviousSlots: The State Has Delivered Now, Will The Racing Industry Deliver?